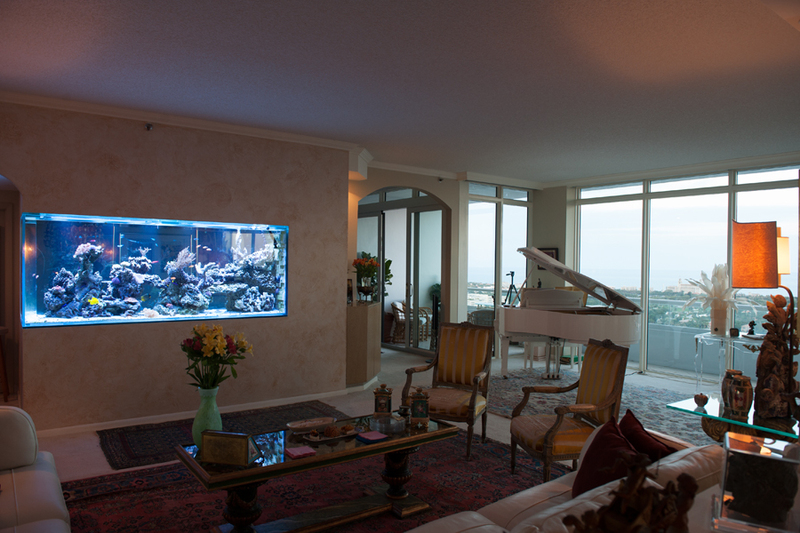 550 Gallon Living Coral Reef - REEF AQUARIA DESIGNREEF AQUARIA DESIGN | Every great room deserves a great aquarium. 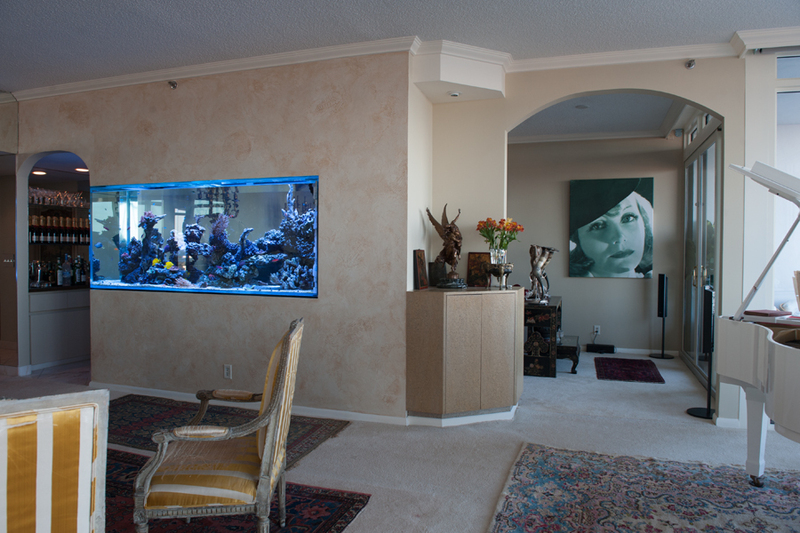 An avid collector of art and antiquities contacted us to create this multi-view aquarium to bring a sense of movement and life to his penthouse condominium residence. The diversity of size, shape, and color perfectly suit the eclectic décor in which it is featured.